Bhutan is often revered as the "Land of the Peaceful Dragon". 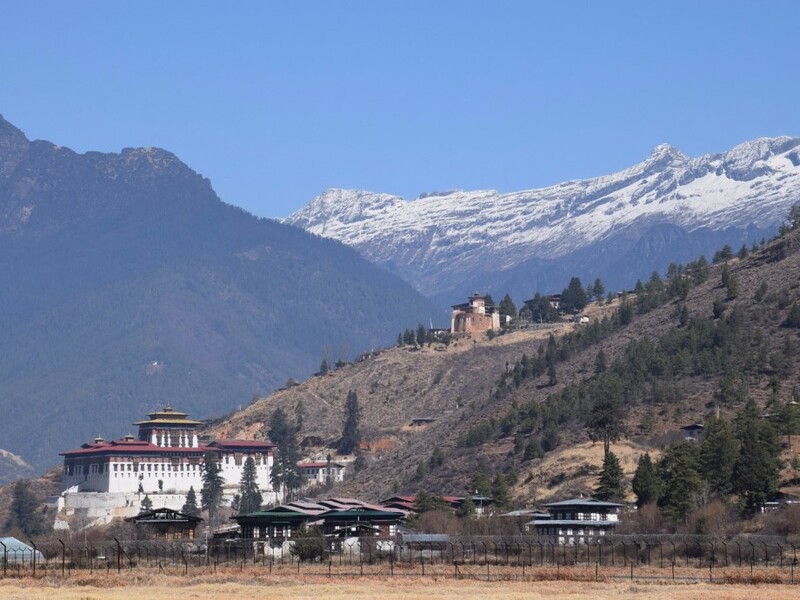 It is still regarded as the Shangri-La in the Himalayan Kingdom. This is because of its remoteness, spectacular mountain terrain, and its exotic flora and fauna. Above all the ancient Buddhist monasteries provide a timeless mystery to the scene. It is one of the least explored parts of Asia, allowing entry to only a few visitors. Embark on an unforgettable journey to the "Land of the Peaceful Dragon"
Day 2: Full day guided sightseeing of Kathmandu city, Swayambhunath stupa and Patan city. Day 3: Fly Kathmandu to Paro and transfer to hotel. Day 4: Full day sightseeing of Paro Town and various Dzongs. Day 5: Drive to Satsam Chorten and walk to Taksang Tea House. Then continue walk to Taksang Monastery. Come down and then drive to Thimpu. Day 6: Full day sightseeing of Thimpu town and various dzongs that are open for visitors. Day 7: Morning drive 3 hours east to Punakhu over the Docula Pass. Overnight at Khure Camp. Day 8: Visit to local farm house and Wangdi Fodrang Dzong and overnight at Khuru Camp. Day 9: Drive back to Paro and transfer to hotel. Afternoon free for shopping and at leisure. Day 10: Fly Paro to Kathmandu and transfer to hotel. Day 11: Day at leisure in Kathmandu.